Boys. Recycled. license plate sign. License plate art. Room. Decor. Car. Dad. Babyboy. Gift idea. Garage. 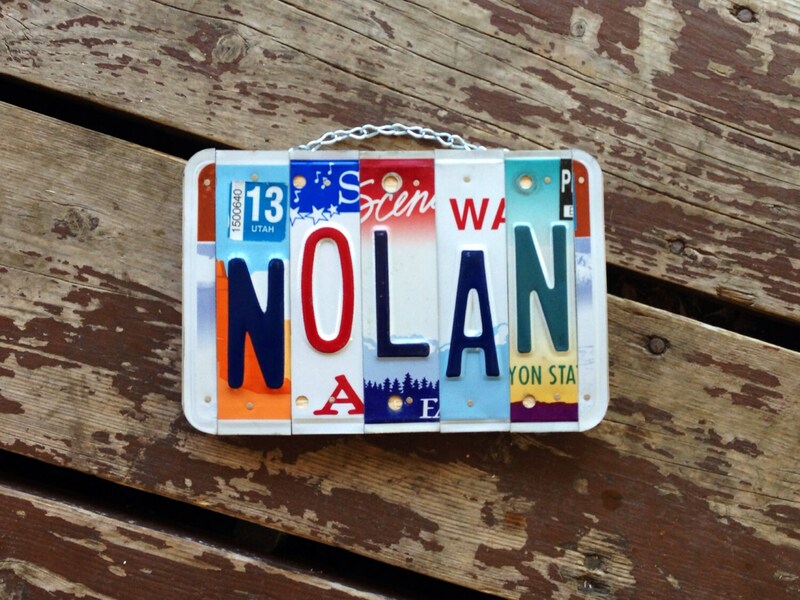 Boys car decor license plate sign, made custom with your name.